We are happy to introduce Ganendra Awang Kristandya! 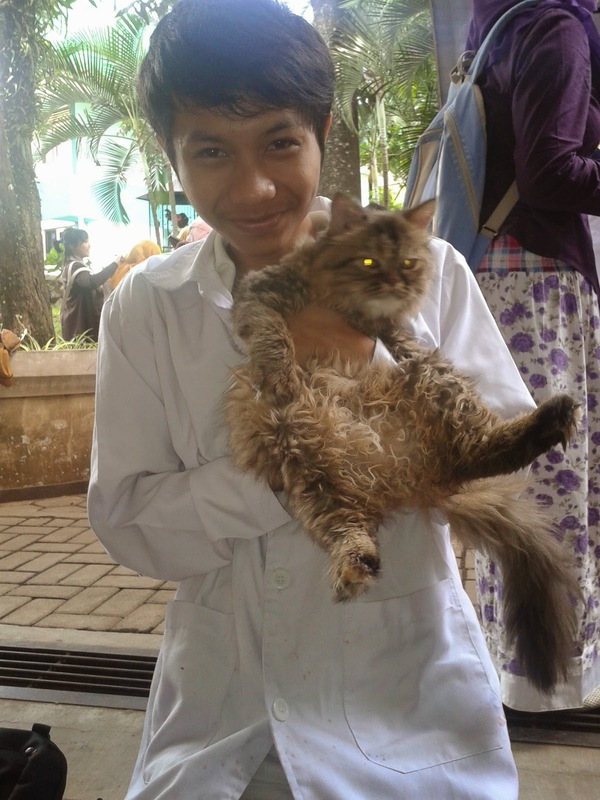 He is a vet student at Brawijaya University in Malang, Indonesia. What’s your favorite animal? And why? Generally, I try not to favor any particular animal over another. Though during my internship a few weeks ago, I fell in love with dairy cows. I found dairy cows to be large and huge, but gentle creatures, which makes them easy to love. I live in Malang, Indonesia. Malang is almost 800 kilometers west from Indonesia’s capitol city of Jakarta. And when I’m not studying in Malang’s beautiful country side, I enjoy reading, watching movies and spending time with friends. As a person, I like to see myself as being “anti-pessimistic.” I have an optimist’s view of the world. I believe that everyone has the ability to influence the world in a positive way and I believe that a part of being alive is each of us giving our own unique gift to the world. For me the pursuit of veterinarian medicine is one way in which I can positively influence the world. I have three passions, which actually support my leadership development in veterinary medicine, and I pursue these in my spare time: public speaking, advocacy for social movement, and research and writing. Why did you decide to study veterinary medicine? To answer that I would have to quote Robert Frost’s The Road Not Taken, “Two roads diverged in a wood, and I –I took the one less traveled by, And that has made all the difference.” In Indonesia, many people able to attend university or advanced studies are not thinking about veterinary medicine as a profession. There are actually few veterinarians in Indonesia and my pursuit of veterinary medicine in this country is rare. I chose vet medicine in Indonesia, because I feel as if I am helping to develop future capacity for my country. What is it like to study veterinary medicine in your country? innovative business idea they developed. 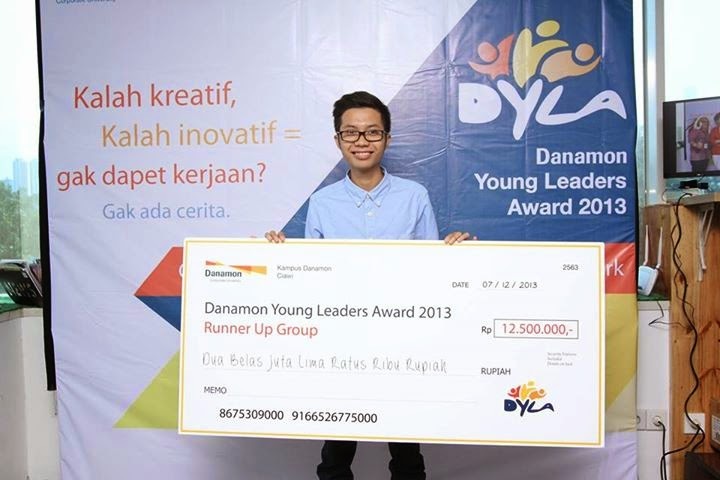 As a developing nation, Indonesia faces many challenges especially in education. Infrastructure is an issue in veterinary medicine at times when it comes to books, tools and advanced instruments compared to country like United Kingdom or US. Becoming a Vet in Indonesia take 5 up to 6 years. From year 1 - 4 we have in-class study with several laboratory practices like microbiology, pathology, anatomy, virology, etc. After we finished our undergraduate thesis in year 4, then we obtain Bachelor of Veterinary Medicine degree. After that we continue our clinical study (we call it CoAssistant) for 1.5 up to 2 year to obtain our DVM. One of the best thing of becoming vet student in Indonesia is the kinship. So far, we have 10 Faculties of Veterinary Medicine around Indonesia yet we feel like we are one great family. I once met a dog trainer, named “Marco,” that changed the way I perceived the human-animal relationship. Marco told me that when you are dealing with animals, you are dealing with special creatures. Animals seem to sense purpose and intention, especially from their handlers and veterinarians. For me, this means that some animals have no willingness to comply with the vet, while other animals do. When a vet has a pure willingness and reason to work with animals, then those animals will be kind to you. First, I would ask if they were sure about studying veterinary medicine. And if so, then I would have to let them know that they have to have a real willingness to study various animals and multiple subjects. I sometimes think people chose veterinary medicine because of one particular animal or subject, which may hurt the field. I would also encourage the attainment or achievement of a dream, or for someone to understand what goals they want to achieve by being a veterinarian. I would further advice on character traits for: willingness and persistence to achieve those goals. I also believe as a veterinarian it is important to pursue other passions and interests. Studying veterinary medicine is a lot of work and the most important thing I have learned is that when you are able to treat an animal in a way that is good, then you are able to treat humans in a good way. Finally, no matter how challenging the work, I relish the opportunity to become a vet and I would want to share this passion with people interested in veterinary medicine! Learn more about the International Veterinary Students' Association.